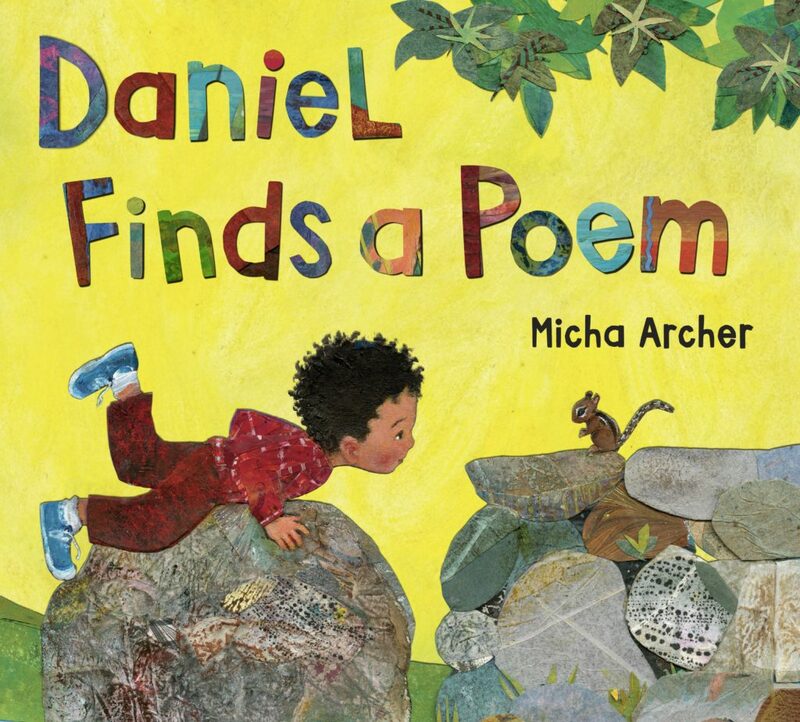 Daniel Finds a Poem by Micha Archer is breathtakingly beautiful and deceptively simple. 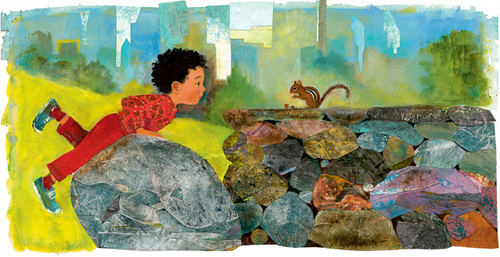 “Daniel knows all the rocks, trees, and animals in the park.” So when he sees a poster advertising “Poetry in the Park” he sets out to ask his park friends, ‘what is poetry’? He soon learns that poetry is different for each animal. Daniel collects such snippets from the animals and creatures surrounding him until in the end he has created his own poem. What a beautiful notion that we all have poetry inside us. And that for each of us it is something different. The collage illustrations are breathtaking in their intricacy, color, and composition. 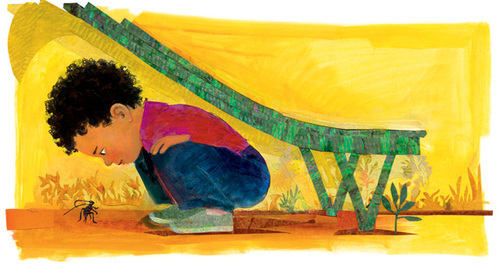 Micha Archer takes us down low and crouched over for a real kid’s-eye perspective. Wouldn’t this be a terrific classroom tool to spark children’s ideas about what poetry is to them? And writing and illustrating their own poems? Perhaps even using collage to do so? This is a stunning book and I thoroughly enjoyed considering what would poetry be to me? What would it be to you? And thanks to children’s librarian extraordinaire Sara Glenn for this wonderful recomendation! Daniel Finds a Poem, Jennifer Black Reinhardt, Micha Archer. Bookmark. This is fabulous! Thanks for sharing this, Jennifer. I will check this out and may use it in an upcoming classroom visit. That would be wonderful, Traci. I hope you like it and it can inspire kids to find their own poetry! Beautiful book! Yes, it WOULD be a terrific classroom tool. I’m already imagining the artwork. 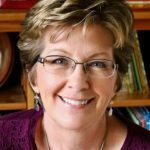 Going to share this post with teachers I know. Thanks, Jennifer! Oh! I gotta see this! Sounds (and looks) beautiful. It really is, thank you, Kevan! Can’t wait to see this one! Thanks!!! Hi Eve! Hope you enjoy it! Oh my!! This looks wonderful! Very excited to find this one! Good morning, Jessica Linn! Thank you for visiting, hope you like the book! 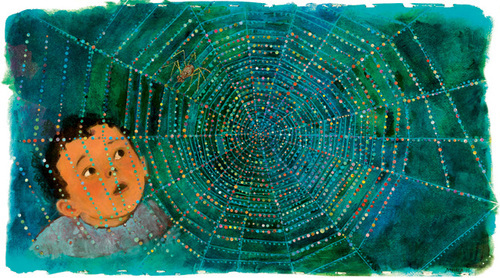 Oh my, that spiderweb–gorgeous! I’ve been meaning to pick up this book, so thanks for giving me a glimpse of what I’ve been missing. It looks lovely! A story about creating poetry that is poetry. How wonderful and the illustrations look incredible. Thank you for stopping by PBB and commenting, Quinette! Have a wonderful day and I hope you enjoy the book! I love that this books makes poetry accessible. I can’t wait to check it out. Me, too, Lindsay! Thanks for visiting today! What a delightful book! 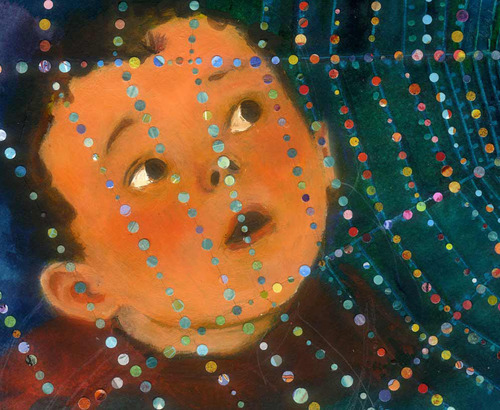 The reflective story and illustrations remind me of some of Leo Lionni’s books. Oh, yes! They sure do, Kathy! Thank you! What a great way to define a difficult to pin down word. It means so many things to so many people (animals). Yes, it’s very clever and so engaging. Thanks for commenting, Cassie! What a gift! Thank you, Jennifer, for sharing this must-read! What a beautiful way to introduce poetry! It sure is, Anne! Thanks for visiting! Wow, thank you Jennifer for your beautiful written review. I am so glad Daniel found you. Our little ambassador of Poetry! What a treat, Micha! And what a beautiful book you’ve made. I’m so glad you found Picture Book Builders and took the time to comment. Congratulations on a very special picture book! I really like the idea behind this story. And the pictures look beautiful. Hi, Cindy! The pictures are amazing and the concept and writing is clever and well done. Definitely a win, win! I, too, loved this book. I enjoyed the art as much as the words. The two support each other beautifully. Hi Susan, I’m so glad that you enjoyed this book as well! 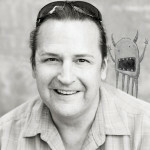 Thank you for taking the time to stop by PBB! Wow! What a wonderful and creative book. I can’t wait to see it. Brilliant! Thanks for visiting and commenting, Lisa! Hope you like the book! Lovely idea — poetry within each of us. I like that, too, Jean! I must get my hands on a copy of this lovely book. I look forward to sharing this book with my students. Just placed a hold on my library’s copy.